Whether the notion of "things we don't discuss in church" is strangling our ministry? If there is a slight lull next week in Inappropriate Conversations, it won't be for a lack of content. 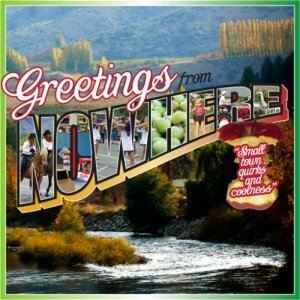 This week, I'm delighted to say that I got to spend some quality time online with Christina from Greetings From Nowhere! Paraphrasing Laurie Anderson: "What is this? Some sort of guest host situation?" Indeed. Greetings From Nowhere podcast can be found at VisitNowhere.com. I suppose I'm still pondering the "stages of spiritual development" outlined by psychiatrist M. Scott Peck from Inappropriate Conversations 139, if only in the back of my mind. While watching one of my favorite current television shows, Person Of Interest, I began wondering if former Different Drummer Jonathan Nolan was familiar with Peck's work. He isn't the sole creative force behind the TV series, but I tend to view the characters as his. The website Symbolic Living provides a concise quotation of Peck's Wikipedia page here, and it is a useful summary of the stages of spiritual development from that Different Drummer's perspective. A working understanding of the CBS show would be helpful, but here is my mash-up of these two concepts. Stage 1 is chaotic, egoistic, and lacking empathy even to a potentially criminal extreme. Samantha Shaw, first introduced in the episode "Relevance," comes immediately to mind. She is quite comfortable describing herself as not caring at all about other people, a symptom of a unique personality disorder. Stage 2 often manifests itself as fanatical fundamentalism. Its essential characteristics are blind faith, following tradition or a charismatic leader, and obedience. (There are positive examples where descriptions like "devoted" are surely more honorable.) The character Root has been a key part of the show from a voice-only appearance in the first season. She has evolved and perhaps moved between stages, as Peck says all of us do. For a couple of seasons, though, she best represents this stage, with a devotion that intentionally draws comparisons to suicide bombers or zealots like Simon Of The Desert. Stage 3 is where a great many of us function today, in a more public way than most people in the pre-internet age could imagine. It reflects questioning, doubt, skepticism, and a preference for the proof of the scientific method over the version of "faith" presented so often by stage 2 believers. I'd say much of the appeal of the Person Of Interest show is the skepticism and pragmatism of John Reese. Episodes that focus away from Reese often seem to stand on unsure footing. As viewers, we don't know as much as Root claims to know, and Shaw is only beginning to care as much about consequences as we do. Reese, however, is there with us -- just, more capably. Stage 4 is the mystical level of understanding. It understands what the skeptics know and don't know, but Peck's "mystics" are much more comfortable embracing the mystery and beauty of those things we don't yet fully comprehend. Actor Michael Emerson has made a recent career out of playing characters like this, and Harold Finch may be the best example on television today. At this stage, the person is not free from the fears of fundamentalists or the doubts of skeptics. The difference is the outward focus, or even an upward focus depending on how you visualize spirituality. Finch has sequestered himself from the world to avoid hurting those he loves, while at the same time devoting himself to saving others. To the occasional frustration of Reese, Finch isn't an enlightened guru sitting atop a mountain. There is much he does not know, but Finch doesn't let the unknown stop him from learning. He isn't in a hurry to close the book on any subject, including plot elements he declines to discuss. Person Of Interest draws suspense from both the story elements that are slowly revealed or concealed. It thrives off conflict between the different approaches of Root and Finch to the same problems, the same relationship, the same unknowns. An uneven harmony is created and disrupted by the contrast in the action-oriented behaviors of Reese and Shaw, not to mention important law enforcement characters who do much more than merely round out the cast. Until this week, though, I've never watched an episode with the stages of spiritual development in mind. Everything has changed. I'm wondering if I'll be able to watch the rest of this show, which has been picked up for next year, without contemplating how the "character" in the series that Root calls "god" will reveal herself to those cast not just in these roles but seemingly in strikingly different levels of spirituality. If a parable is being told here, I wonder if the end will be as confounding as most of the parables Jesus told his disciples. Whether the concept of tithing applies to the giver or to the church as the receiver? Whether membership must focus on a single local church or congregation? Rather than noting what is in this World Storytelling Day episode, I'll note what is regrettably missing. * Not much personal storytelling, despite a commitment to return to nostalgia a few weeks ago. * Repeating some material from Inappropriate Conversations #50 about Lilo & Stitch. * Insufficient callout to the band The Peddlers for the theme song to The Lost Continent. * Planned but forgot to connect the "sound" of Dana Gillespie to Candye Kane. * Missed an opportunity to feature at least a clip from the blues singing of the Different Drummer. * Perhaps even fell short on fully noting the impact of an actress and costume designer on me at a young age. Despite missing some elements, the "monsters and dragons" topic for storytellers this March 20 brought out my memories of good monsters, both literally and ironically. Whether condemnation of a denomination based on its lack of prejudice is really more of an endorsement? So-called "mountaintop experiences" are often called "beyond description" by those who are careful about sharing religious experiences. I know. I am one of those people, with podcast episodes like this one being an exception. With a connection to the team building concepts in the previous show on spiritual development, let's go behind the scenes -- metaphorically around the campfire -- at a spiritual retreat or two.